Friends, I am excited. Finally, a Southern, fluffy, gluten free biscuit I am proud of. I worked for six months experimenting on a gluten free biscuit. The feedback has been heart warming, and gratifying as it quickly rose to my number one food post out of 1,000 recipes. This is my rice flour based gluten free biscuit. The next biscuit that is wildly popular is my almond flour based low-carb, grain free biscuit. Both are very worthy, so it will be up to you. 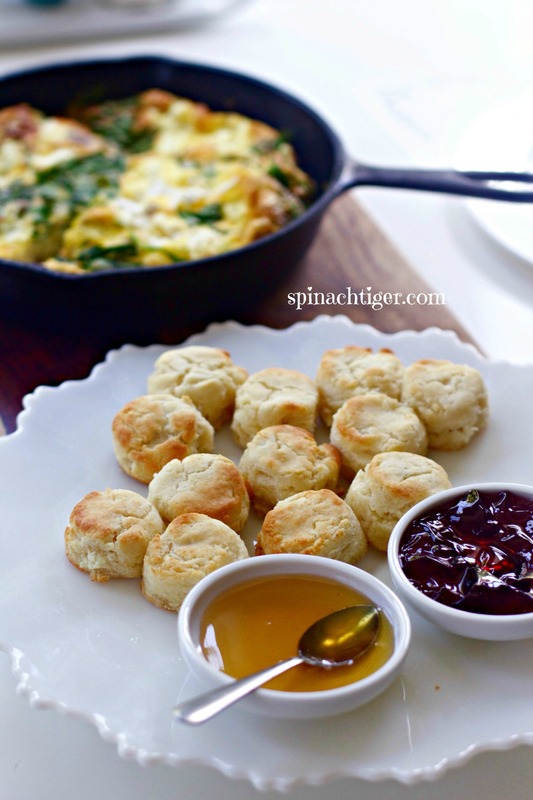 You see, I never set out to make a good Southern fluffy biscuit here at Spinach Tiger, but I did and the comments and emails I still receive years later on this recipe have proved how good my biscuit recipe and technique is. However, I know many of you are gluten free, as am I, because of a health issue, and you deserve to have the best biscuit possible. I have Hashimoto’s and wrote about my personal story with this immune disorder that affects the thyroid, and while gluten doesn’t seem to make me sick, it’s very discouraged. This is why you are seeing an increasing amount of gluten-free baked goods and grain free baked goods. I am one of more blessed people with this disease, because I haven’t had any serious symptoms, as it was discovered early and medication has balanced my thyroid numbers. I want to keep it that way and eat as healthy as possible. That means no gluten. (It pays to get a wellness blood test every year that checks your thyroid). This is not going to be the exact duplicate of my original Southern biscuit. However, I’ve gotten as close as I think I can get. I experimented with flours. I experimented with eggs, no eggs, buttermilk, fake buttermilk and cream, corn starch, no corn starch. I made several batches, sometimes one after another. Then yesterday morning, the second batch of the day got the result I was looking for. The problem with gluten free biscuit baking is that too many of the biscuits were grainy, tasted funky, and didn’t rise. Sometimes they were too gummy and sometimes they didn’t brown. The most noticeable issue was that, if left on the counter all day, they turned to rocks. One unusual counter intuitive attribute about gluten free biscuits is that you can’t eat them right out of the oven. The texture will be a bit gummy; let them cool about five or 10 minutes. Realizing gluten free biscuits cannot be exactly the same as gluten-floured biscuits, I still had a criteria. Texture could not be grainy, but must be crispy outside, fluffy inside. Flavor. No after taste, just buttery. Rise. Biscuits would have to rise or they are not biscuits. Southern Approved. Mr. 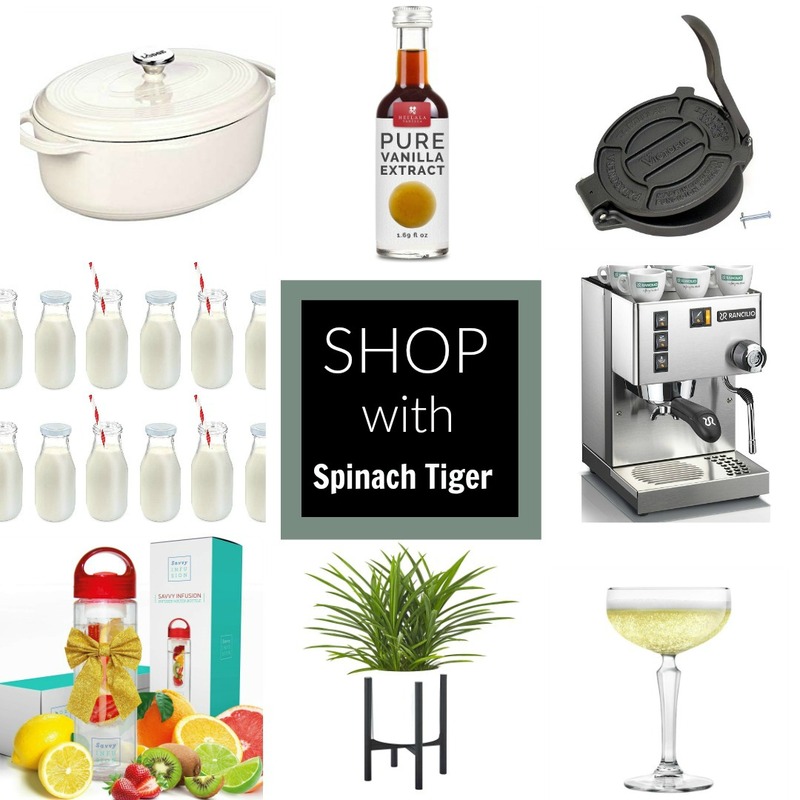 Spinach Tiger, who has a perfect palate, gives the thumbs up. He tasted every batch, and actually guided me to the right balance of ingredients and texture. This might seem odd, but I tried adding in ricotta cheese and this gave me the texture and flavor I was looking for. If you don’t want to use ricotta cheese, they will still be good, especially since I have added in golden flax meal. Gluten Free Flour. I did not mix my own gluten free flour for this biscuit. I know you’re not going to do that and truthfully, that is just too tenuous and inconsistent. I chose a flour readily available in the grocery store. If you want to make your own flour, I do have a recipe for you here. Bob’s Red Mill 1-1 Baking is the flour of my choice and you can order it here. If that changes, I’ll let you know. If you think you have something better, let me know. They have a biscuit recipe on the back and I did not use that. Mine is better. Stay away from gluten free flours that have beans because the flavor will not be satisfactory. Stay away from gluten free flours where the first ingredient is corn starch. No to Corn Starch. I’ve seen some recipes out there that add a half cup of corn starch. I tried that recipe that claimed greatness and it was the worst of ten batches. The biscuit was grainy, flat, and tasted terrible. Eggs. Many recipes call for 1 egg per cup of flour. I found that 1 egg per two cups of flour reduced that odd gummy texture I didn’t like. Butter. Real unsalted butter is the only way I make biscuits, again for flavor and texture. You can make really small ones too out of the same batch. Salt and sugar add flavor and the sugar helps the biscuits brown. Golden Flax Meal adds something to the texture and flavor, but it’s an option. My original recipe didn’t include this. I discovered it when I made these biscuits for this chicken pot pie. Liquid: I like Real Buttermilk. It’s not just for texture; it’s for flavor. See notes below for substitutes. However, you can also use whole milk with a teaspoon of added white vinegar. Some have had great success with almond milk! I paid attention to the tips I’ve outlined in my original Southern Fluffy recipe. I decided that the gluten free biscuit should not touch (we call this kissing) as I recommend in regular biscuits so that the edges brown, but I still maintain a hot oven of 450°F. Size of Biscuit – This recipe only makes eight biscuits. The round is about 7 inches in diameter, no more, as that will result in a flat dry biscuit. It’s very important that you do not roll this out any larger or flatter or you will be disappointed. You need sticky dough. If you feel the dough is too sticky to work with, you can make these drop biscuits, but just spooning the dough onto the cookie sheet. You may want to watch the video to see how I deal with the sticky dough. I highly recommend you watch the video. If you have to eat dairy free, substitute the buttermilk with almond milk, water or coconut milk along with a teaspoon of white vinegar. Vinegar will add tenderness to the biscuit dough. Mix the egg right into the liquid. Substitute the butter with this shortening by Nutiva. Using a fork, add in shortening in small pieces. You may need to use your hands. Freeze this for twenty minutes, and refrigerate the liquid. Once you add the liquid into this flour mixture, then mix according to the directions. Remember sticky dough! 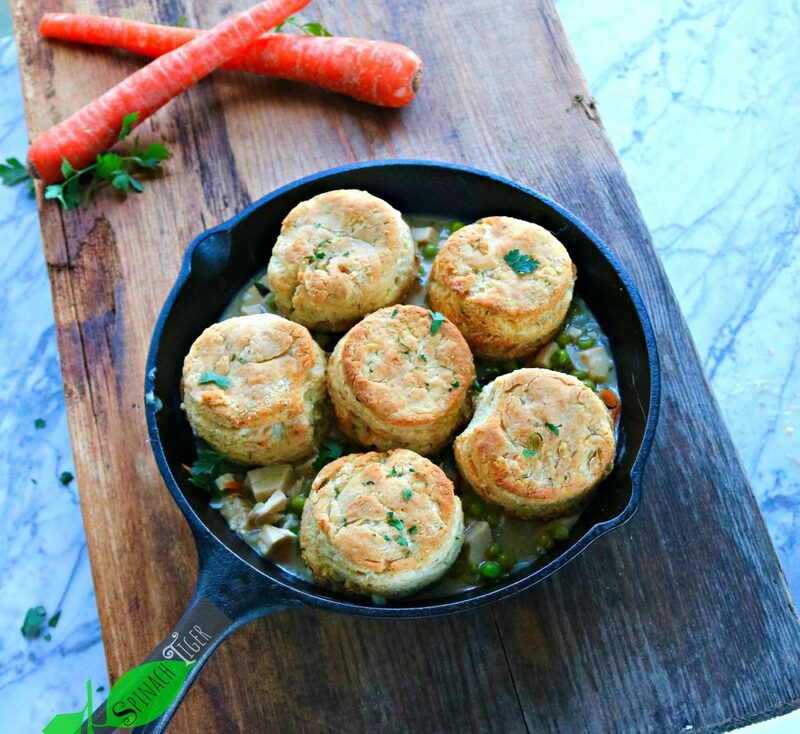 You may also like to make a dinner with these biscuits, making a gluten free Chicken Pot Pie with Biscuits. 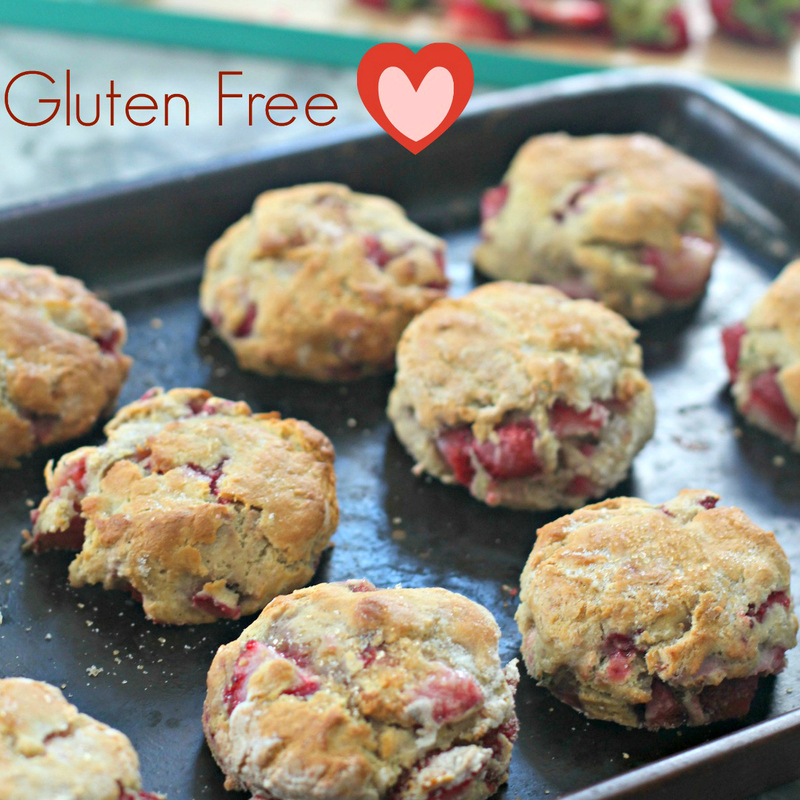 Gluten Free Strawberry Biscuits with video – Similar to this recipe, but sweeter and with strawberries. Instead of ricotta cheese, I use yogurt to get the right texture. 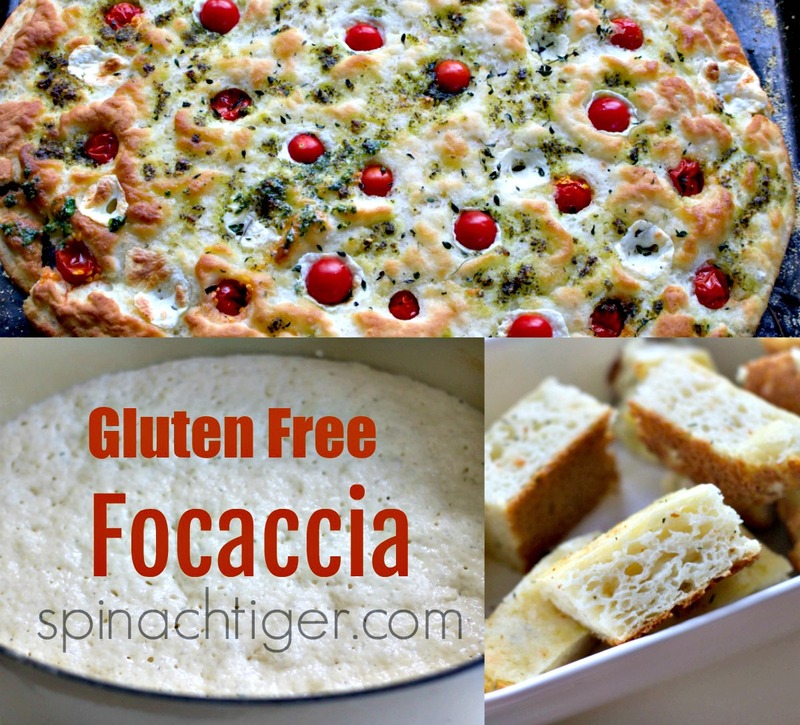 Gluten Free Pizza Crust – The one thing I missed the most was pizza. 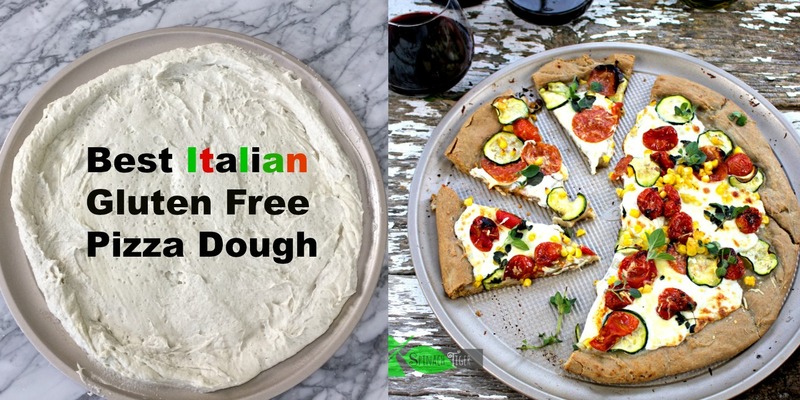 Friends, this gluten-free pizza crust is just simply amazing. It’s chewy and crispy and there’s a video. This recipe for Gluten French Bread is another one I did ten times to make it perfect. It’s so easy, made in 60 minutes start to finish, and you can freeze it. 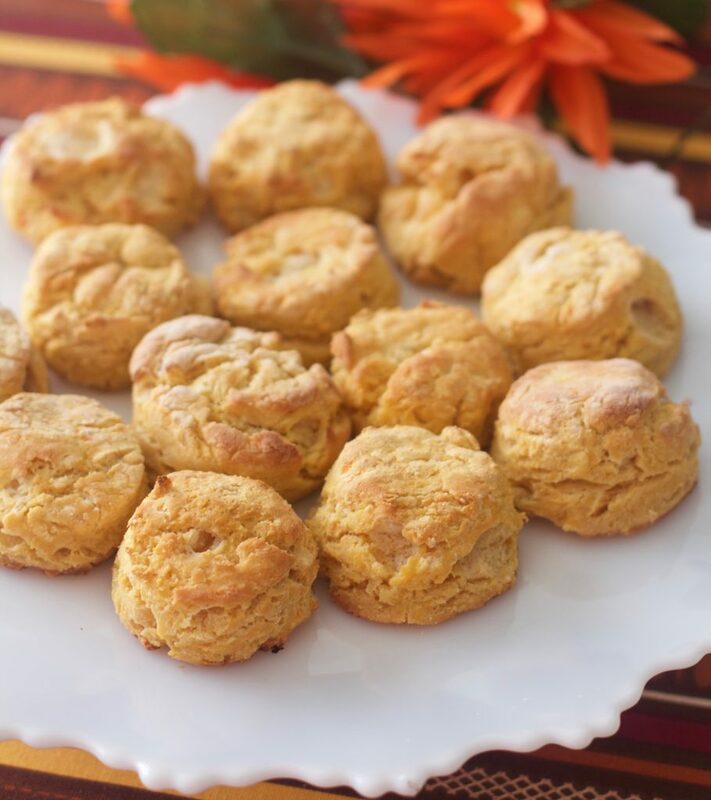 You may also want to try these gluten free sweet potato biscuits. 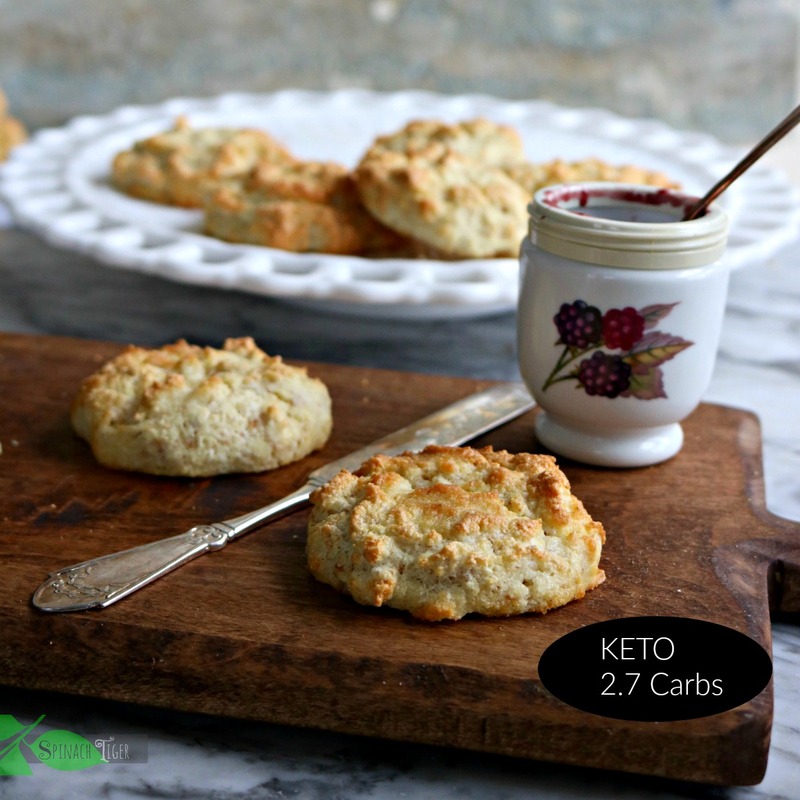 You may also like my latest GRAIN FREE BISCUIT which is also keto, low-carb, low calorie and diabetic friendly. 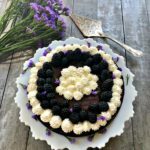 Let me know what gluten free baking you would like me to do! What are you missing the most? Gluten Free Biscuit, Fluffy and great tasting. If you don't have golden flax meal, you can leave it out. However, if you are skipping the ricotta cheese, adding the two tablespoons of golden flax meal will make a difference. Milk Substitutes: You can use water with a teaspoon of vinegar. Some have also been successful using coconut milk. (Still use vinegar). Vinegar is a tenderizer. Absolutely the best GF biscuit I’ve had in 13 years of GF!!! Thank you for taking the time to bring it to perfection! I tried freezing them raw so I can have it fresh. 20 min@450 was perfect. I tried just keeping in fridge to bake fresh 15 min@450 perfect. I’m going to try just partially baking, then freeze to finish off fresh. I’ll have to see how that works. Ps: I didn’t have ricotta so I sub homemade Kefir and “365 soft goat cheese crumbles” from Whole Foods. Perfect and it actually tasted like ricotta. I love the way you experimented with these. Thank you so much. These are amazing!! My husband was diagnosed with celiac disease in 2014. I can now make gf fried chicken, biscuits and gravy, something he really missed!! Thank you!! Thank you. I’m so glad you love them. I enjoyed these very much. I made great big biscuits and really loved the crunchiness. I turn mine over at 10 minutes, then turn them again at 15 minutes, take out of the oven at 20 minutes. Very hearty and I love adding some additional taste afterwards, butter, cheese, garlic whatever. 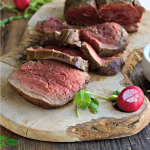 Thanks so much for sharing this great recipe. Ruth, I’m so happy you loved them and figured out what works for you. Wonderful Recipe! My last gluten free recipe for biscuits was a disaster. Your video helped a lot. The secret is not to handle the dough, to just blend it. I had everything except the ricotta cheese so I decided to take some cottage cheese and put in an immersion blender. It worked beautifully. I also added apple cider vinegar to whole raw milk. 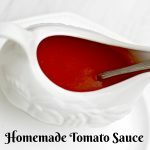 My flour recipe is from another web site, https://glutenfreeonashoestring.com/all-purpose-gluten-free-flour-recipes/ it is a mixture of 66% white rice flour, 22% potato starch, and 12% tapioca starch and worked great for this recipe. Deb I’m so glad it worked out. Thanks for the tip about the cottage cheese. People have asked me that before. These biscuits are great! I left out the dry milk powder (didn’t’t have any) and doubled the golden flax. They were actually great right out of the oven, and also after they were frozen. Now I want to make more, and I don’t have any white rice flour, but I do have sweet glutinous white rice flour. Have you ever tried the recipe with that flour, and if so, what was the result? I have not tried that kind of flour. Just FYI you can also use Bob’s Red Mill one to one flour for this recipe. Thanks. I cooked a batch of biscuits this morning and failed big time b/c I tried to switch the flour for gf and it didn’t work. So, I was so disappointed that I just asked the Lord just help me find a recipe that I would love. Yours was the second one I had looked at and I just trusted it would work out. You see, I have a LOT of food allergies and my room for experimenting is limited. Thank God, really, that he lead me to yours. I made chicken biscuits for lunch and they were fantastic. Also, I love I don’t have to buy a special flour and other special ingredients for this recipe. Great job! Thank you so much for writing this. I do believe that God helps us, even in the little things. Thank you so much for sharing your experience and expertise. I do wonder if all the adverts are working for you. Do you make money allowing all the ads? Honestly, I would spend more time on your site and buy a cookbook if you had one to help support you but the ads are overwhelming. I followed your recipe as written and am so impressed. The biscuits are everything you said they’d be. This was my first time making gluten free biscuits and I couldn’t be happier with the results. My husband and son also loved them. The texture was great and they are so tasty. I can’t thank you enough for sharing your recipe. I look forward to trying your other gluten free goodies. Thanks for writing. I’m so happy you enjoyed. If you’re gluten free, try my grain free tortillas. They were life changing for me. I am excited to try this recipe. I read through so many of the comments (not all) but couldn’t find answers to these questions. 1. 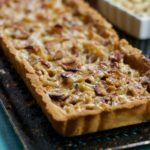 Can I substitute regular flax seeds for the golden flax? 2. Can I substitute cottage cheese for the ricotta? 3. Can I freeze the dough and cook them later? 4. Can i freeze the cooked buscuits and reheat them later? Thank you so much and God bless you for your gluten free recipes! You don’t want regular flax seeds. You want the golden flax meal . If not, leave it out. I suppose cottage cheese would work, but it’s wetter than ricotta, so you’ll have to experiment. No, do not freeze the dough. I have not tested that. My suggestion is to freeze ONE biscuit and see how that works. Yes, you can freeze baked biscuits. Mari Anna can use her regular flax seeds and grind them in something like a coffee grinder for the recipe’s required flax meal. I don’t think the type of flax will make a difference. I have had storebought flax meal go rancid even when it was stored in the freezer, so I only buy the whole flax and grind it when I need it for a recipe. I can’t wait to try these biscuits! I keep the golden flax in the refrigerator. I use it up pretty quickly. I suppose you could grind your own. Hi there! Thanks so much for posting this. I have to admit, I have looked through the post several times and watched the video and I cannot find the actual recipe anywhere. It is driving me a little nuts. Where is the recipe??? These are the very best gf biscuits I have ever tried…I’ve made numerous batches as well trying to find the perfect one. I didn’t have ricotta cheese but did everything else as the recipe stated (made buttermilk with milk and vinegar). They taste delicious with no aftertaste as promised. My kids loved them too – they have pretty high standards so that is a big compliment. Thank you so much! I have gluten free flax meal but not Golden flax meal. Can you use that in place of Golden flax meal? just told my daughter i think i’ve found the holy grail of gf biscuits! WOW! making a chicken pot pie and decided to top w/biscuits and stumbled upon these. thank you for all the work you put into creating these crazy-good light gf biscuits and the video – great job explaining how to recreate your biscuit. unfortunately i’ve eaten three already and will have to arise early tomorrow to make more for the easter chicken potpie! lol can’t wait to try some of the other gf creations on your website. i’ve been gf for a couple years and recipes like this don’t come along very often! I have watched the video and scoured the webiste, but I am not seeing a recipe anywhere. What am I missing? Can you try getting it on a mobile phone. I promise you it’s there! So excited to make these! I noticed that the amount of flour you mentioned in the video is less than in the written recipe above (288 grams vs. 342 grams). I’ll go with the amount above, but thought I’d check! 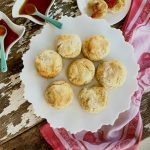 I want to make these Gluten Free Fluffy Biscuits for Christmas morning biscuits and gravy… if I make them today, will they still be light and fluffy? I plan to put them in an airtight container after they cool, but typical GF breads get rock hard pretty quickly. Just wondering if I can get away with baking today. Thank you!! Excited to try them! Really nice gluten free biscuit. You have really done a nice job. As you have shared the best things for me. Even this recipes can be made in busy time also. It’s really special for me. thanks for sharing it here on this site. Can you freeze the biscuit dough after cutting them out (before cooking them) then cook them later? If so, how would we do that? What can i use instead of diary? instead of ricotta? instead of buttermilk? 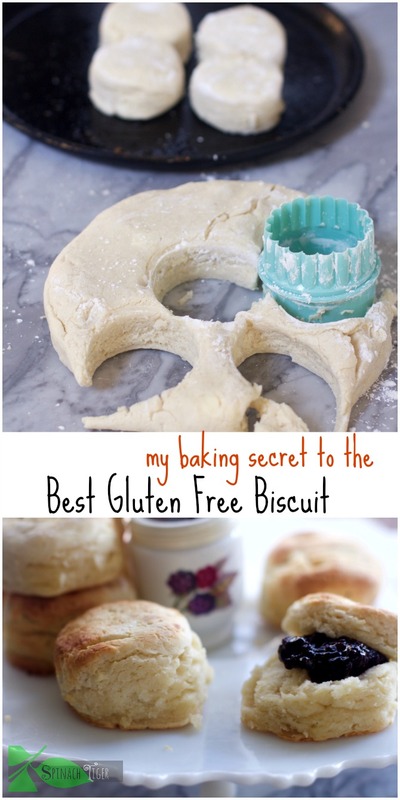 I have tried SO many gf biscuit recipes and other recipes that I converted and THIS….. ooohhhhh this!!! You have made my life!!!! I am eternally greatful!!!!! I made these last night with what I had in hand, which meant omitting the ricotta and flax meal and using almond milk and they were still delicious! I’m pretty excited about these, it’s been a long time since I’ve been able to have a biscuit. My husband liked them so much, I woke to find he had taken them on his fishing trip, so I had to make another batch for breakfast! I used Blue Diamond unsweetened original almond milk. I added vinegar, to total 1 cup. For flour, I used King Arthur Measure-for-Measure. OMG!!! Southern gluten free boy here, and you are awesome! Being Southern and GF is hard, to say the least. This recipe changed my culinary life. So much so, that I shared it with my momma. God bless you, seriously. I can now have biscuits and gravy, sweet potato biscuits and country ham, biscuits and honey (country boy’s delight), and a frozen sausage and biscuit. I love my girlfriend, but the three of us could definitely move to Utah. Thank you so much, again! Keep the recipes coming— PLEASE! These are amazing! I have a friend who said the one thing she missed most were biscuits. I made these for her and she was so happy! Thank you for bringing joy into her life. I do have a question, my biscuits tasted great but they spread or flattened. I did not add flax but followed the rest. Did leaving out the flax cause this or did I do something wrong? Were you able to keep the biscuit dough cold. Did you freeze the butter. Also, you only want about a 7 inch diameter. About 8 biscuits. That will keep them high enough. They should not spread while baking, unless you had the dough too liquidy. I hope this helps. Angela- Oh my goodness! Delicious! I have been GF for 10 years and as a southern girl, I have missed my biscuits and gravy. I could never find a really good biscuit or recipe. Yours is marvelous! Definitely thumbs up! I made smaller biscuits and froze them, so when my son eats a regular frozen biscuit, I can have one too now. Thanks so much for taking the time to perfect this! God Bless. Thank YOU for taking the time to write me. I so appreciate it. Please know I’m doing lots of gluten free baking. I never set out to do this. But, my readers (like You) are letting me know how important it is. With this simple biscuit recipe, there’s a lot of ways to go. I’m also doing lot so fun desserts and breads so please stay tuned. That is unusual. I emailed you privately. If anyone is reading this, please add the buttermilk a little at a time. Make sure your butter is frozen and the dough stays cold. One way to help this is BEFORE adding buttermilk, put flour and butter (once you’ve mixed) back in freezer for a few minutes. Then add buttermilk, a little at a time. I always need the whole cup with gluten free flour. If you find yourself with a batter instead of a dough add back in a little flour. BUT the dough needs to be sticky or you will have rocks. I tried your gluten free biscuits tonight and they are excellent. I really didn’t think I would a recipe that I liked as well as my recipe with regular flour, so this was a great surprise. Thank you so much! Just finished making your fabulous biscuits along with a different recipe. I prefer your recipe hands down. I used Presidents Choice GF flour and exactly the other ingredients you posted. I used a 2 1/2″ cutter and ended up with 15 biscuits. Thanks for making and posting this recipe. Wonderful flavour and texture. These are AWESOME!!! I halved the recipe and made them without the ricotta and using coconut (carton not can) milk with 1tsp vinegar. DELICIOUS!! I would never have thought to add flax meal but it works! These are much more like a southern biscuit than the ATK GF biscuit! (Sorry ATK?) And that’s coming from an NC native! THANK YOU!!! Kara, great. I hope people read through and see there is another option. I will try this and see what happens and makes notes. 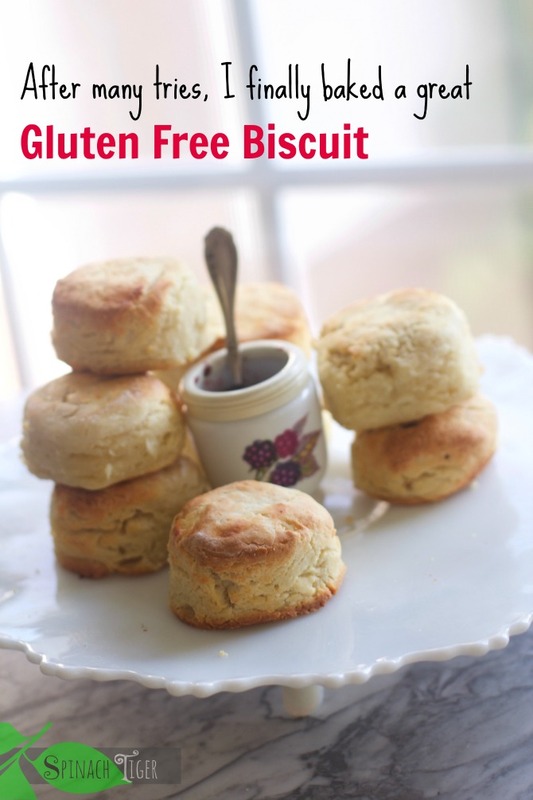 Will you PLEASE suggest a recipe for gluten free flour to use with this biscuit recipe? I don’t want to mess it up when it sounds like you have a jackpot of a recipe, but I cannot use rice flour at all. I have coconut flour, but i read that could make recipes dense and grainy… any suggestions? Made these for the first time..I am a novice baker but made these for my family as I am now eating GF. I must have made the dough to wide because I ended up with 16 biscuits and they did not really rise and after over 20 minutes in the oven they did not really brown and seemed a tad doughy still. My ricotta did not look like yours although I didn’t think they seemed too watery not sure how to gauge this. While still tasty the biscuit connoisseurs in the family all agreed that something must have gone wrong. The gluten baker in the family says that I possibly over worked the dough, though I followed along with the video., and has suggested that next time we should skip the cutter and just try thw drop method.For sure the biscuits needed to be thicker. Any other ideas as to what could have gone wrong? Here’s the best thing I can say. Make sure your butter is frozen. Mix butter into dry ingredients until it’s in small pea sized pieces. To be on safe side, put back into freezer for 10 minutes. THEN, add buttermilk slowly a little at a time, until you have a sitcky dough, stirring with a wooden spoon. I use the whole cup, but maybe you don’t need that. Then form your dough into a 7 inch circle. You only want 8 biscuits. Make sure the oven is preheated to 450 F. Brush the tops with milk or butter (they will brown. Bake about 15 minutes. If you’re worried about them spreading, have them touch while baking. I generally only do that with regular flour. Let me know if this helps. Hi Angela, I tried your suggestions. My butter was put in the freezer for 15 minutes. I incorporated it into the dry ingredients and i put it back into the freezer for 10 minutes. Then added the cold buttermilk, egg, etc. It was sticky. I put it on my paper and patted it out to be just enough to make 8 biscuits. I baked them for 15 minutes. The still spread out. I will try your second suggestion – letting them touch. They did not seem to be as fluffy as the last ones, a little doughy. I just made these and they are AMAZING! you are an angel! thank you so much for your hard work, it is much appreciated!!!!! I expected this recipe to be yet another empty promise of delicious gluten-free food, but I was 100% WRONG. These biscuits are absolutely delightful and I would recommend them to anyone, whether they’re on a gluten-free or not. They’re fluffy with a nice buttery flavor and a good rise to boot! I didn’t add golden flax because I didn’t have it on hand but I can’t wait to try it and see if it makes them even better. So glad to have found this recipe! These are probably the best GF biscuits I’ve had. VERY biscuit-like without the bland taste, crumbly structure or sandy/gritty texture typical of GF baked goods. I used Pillsbury’s Gluten Free flour blend and they came out well. I’m eager to try the Bob’s Red Mill 1-1 to see if there is an appreciable difference. I cook for my Dad who requires a GF diet and he couldn’t get enough of these when I made them! Thank you so much for such a GREAT recipe! I just wanted to know if you can use almond flour instead of bob’s red mill and will they still come out yummy? Has anyone tried this with Almond Flour? Does it come out just as yummy? Wow, I just made your fantastic biscuits and they turned out so great! I was hoping to find a recipe for a gluten free biscuit because.I am having a reunion with friends of mine from Baton Rouge who I discovered now live here in Australia. I want to spoil them with a traditional southern meal with all the trimmings, but it was revealed one of them is gluten free and I have never cooked gluten free before. This has led me to do some researching online and I came across your site. I am experimenting with the meal before hand of course and I couldn’t believe how tasty and fluffy and wonderful your recipe turned out. I am thrilled as I am now more confidently on the way to giving my friends a beautiful dinner. Thank you so much. Thank you so much for writing and letting me know. I hope you have a wonderful time with your visitors. Following my comment above, I just wanted to say that the reunion with my friends went absolutely so great. When my friend bit into the Gluten Free Southern Biscuit, which I made following your wonderful recipe, she had such a look of ‘wow!’ on her face. She said, “Are these really gluten free? !” And then exclaimed that they were so, so good and said how fluffy they were too. She repeated that a number of times throughout the night. She couldn’t believe they were gluten free 🙂 Lol. I made sure to direct her to your website. I was so happy to be able to serve up a really delicious tasting gluten free meal to my friends and your biscuits were a resounding success. I actually have them baking in the oven as i type this, and used the dairy free version with water and vinegar. Do you think they would work with coconut milk and vinegar? Or just coconut milk? Follow up: You have a home run on your hands, Angela! Made them with water and vinegar, but used butter. Also, eliminated the ricotta cheese. Was trying to reduce the amount of milk proteins, not lactose, for my daughter in law. Didn’t have Bob’s Red Mill, so used Betty Crocker Gluten Free plus 1 tsp xanthan gum. 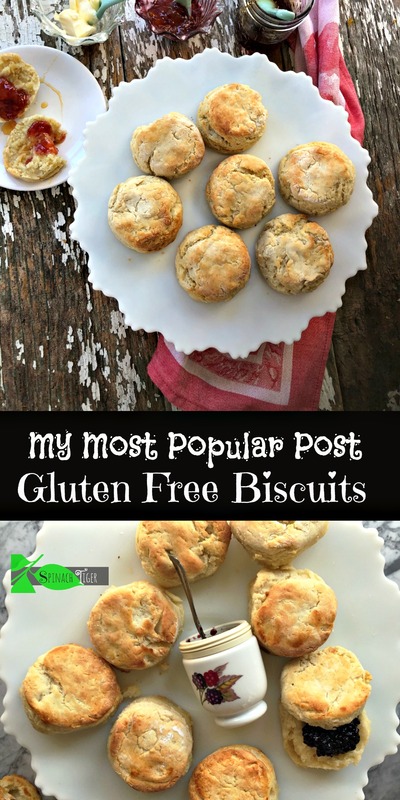 These were hands down the best gluten free biscuits I have made! Thank you for all your experimentation! Many others have been flat and tasteless, bur yours are superior! Delish, delish, delish!! Thank you so much for taking the time to write. It really makes all the testing and work here worth it. 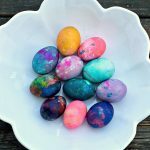 Angela, these were a huge hit on Easter! We had dinner with friends, and I found your site looking for a gf biscuit recipe. Most of the recipes online got so-so reviews, so I jumped on yours because there were raves. Growing up, my mom made the best biscuits, so I’m picky. I’m amazed at all you put into perfecting your recipes! I’m excited to know about your site now! Thanks so much! Thank you for the kind words. You are exactly the reason I do that. I really want people to have a good experience. Do you have any recommendations for egg white allergy? Thanks! OMG, OMG, OMG, OMG, OMG!!! That’s what I was saying when I cut one open and EVERY time I took a bite!!! Ms. Angela!!! OMG!!! You need an AWARD for the BEST GLUTEN FREE BISCUIT EVER!!!!!!!!!!!! I’ve been wheat & gluten free for the past 6 years due to a wheat allergy. I’ve tried many premade frozen GF biscuits in stores and tried several recipes online, magazines, books, etc. HANDS DOWN, this is BEST EVER! Even my husband who doesn’t follow my GF diet LOVES them too! ? The froze the remaining biscuits using our FoodSaver. Just reheat in microwave for 35 seconds and they were great!!! 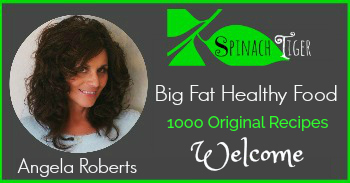 THANK YOU AND YOUR HUSBAND SO MUCH for blessing the world with your recipes and videos! ??? I used the golden flax meal. I said why not…it’s flax meal…it’s healthy. Now I don’t feel so guilty for eating 3 at one sitting! Shame on me! But I couldn’t stop because I was VERY happy to have a GF biscuit that taste like a regular biscuit. My mind kept saying “these can’t be gluten free….no way. Had I not made your recipe myself, I would have truly thought they were regular biscuits.” The texture & taste…AMAZING!!! GREAT JOB for creating such a wonderful recipe. THANK YOU!!! I pray that God continues to bless you and through you!!!! Thank you so much for these kind words. It means a lot to us. Ingredients list a egg.Directions say nothing about an egg? So I guess I’m kind of confused about substituting flax seed for the ricotta cheese. Do you add in two MORE tbsp of flaxseed? The recipe already calls for two tbsp flaxseed. Great question! I am confused about the very same thing. Use no more than two tablespoons of flax seed. So, I think I’m a little confused about substituting flaxseed for the ricotta cheese. Do you add in two MORE tbsp of flax meal? The recipe already calls for two tbsp flax. So how do you add in the flax meal? Sorry about that. No you would just skip the ricotta cheese. Hi, I must be being silly, but I can’t find the actual recipe for the Gluten Free Biscuit in the video? BTW- THANK YOU for working to perfect this..> I haven’t had a good biscuit since I found out I have celiac disease five years ago. I can’t wait to try these!! Delish! I keep trying to make biscuits using regular biscuit recipes and just substituting gluten-free flour and they always end up really dense and gummy. I made these and they were PERFECT! 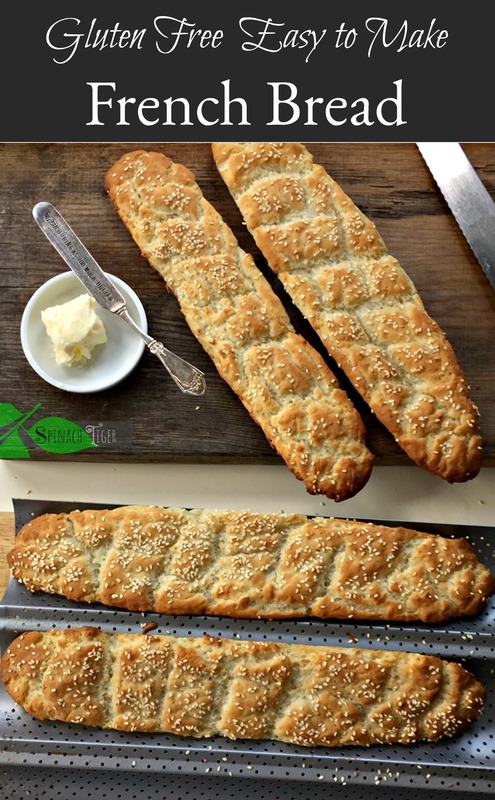 Fluffy and bread-y and with a great flavor! Thank you! Thanks for letting me know. I might give that flour a try. Fantastic. So glad this worked out. Angela, I also have Hashimoto’s but doc put me on a gluten/dairy free diet for inflamation. I notice you use dairy products in your receipts, no restrictions on dairy for you? I do okay with dairy. I took a food sensitivity test and almonds and coconut came up, but not dairy. I have tried water with a splash of vinegar and that worked out okay. Leave out the ricotta cheese. have you tried making these drop biskets insead of patting & cutting? Great recipe, thank you. My 6 year old with celiac was so happy to have biscuits. I made them twice per your recipe and tried them a third time with a mix of Bob’s 1-1 (1 1/4 cups) and Cup for Cup’s whole grain blend (1 cup) to mix things up. They came out amazingly good. I made these biscuits this morning! I used the mix that Sarah posted above (I don’t believe in a one-size-fits-all gluten free flour mix) and it worked fairly well. The final product is a tiny bit gummy – probably from all the rice flour. Overall the taste is great! The biscuits rose well and didn’t have that gross baking powder taste that some biscuits have. I was surprised that there’s no note about how the dough should be when it’s ready. Mine was extremely loose. There’s far too much liquid in this recipe – I used 1.5 cups of buttermilk and that was too much. I think I added about 3/4 cup more of various flours, mostly sweet rice. I bake every day but got distracted by following the recipe instead of listening to my instincts. It might have been too gummy because you used extra flour. I was really concerned that my biscuit dough was too “loose” as well, but that’s actually the trick to it! Make sure it’s kind of worryingly sticky, and then sprinkle flour down on the counter, and sprinkle flour down on top of the dough ball and slowly pat it down. The sprinkle a little extra flour on top and sort of “cover” the top a bit (spread around the flour). That way there is kind of a layer of dry flour to hold in the stickiness, but it’s still super sticky on the inside. Then cut your shapes and the biscuits rise nice and high and are the perfect, fluffy texture! You have my technique perfected. There is a link to a video above. I plan on doing a video for this recipe as soon as my tech problems are solved. My biscuits with the Store bought flour recommended were not gummy. I do think it’s hard to gage that perfect flour when mixing at home. Also, you do not want to overwork the dough. I’m glad you liked the flavor though. We love these biscuits. Thanks for stopping by. I just realized and it’s in the recipe that the biscuits must rest for 5 to ten minutes out of the oven. Otherwise they wlll be gummy. That’s interesting. I may purchase the ingredients and try this. It gets expensive to buy everything and that was one of the reasons I wanted to show a recipe with a grocery store mix. I was hoping to find a recipe that calls for plain gluten free flours and not a premix. Do you by anybfhance have the breakdown of the flours needed? Like, his much rice flour, corn starch, xanthan gum, etc? Thank you Jennifer. That makes me happy to hear. I would have never guessed these would be gluten free. They look like traditional biscuits. Thanks Katrina, and you can’t really tell the difference My mom didn’t know! Those look so fluffy and tender! I’ll definitely be pinning this recipe for future reference. Oh yes! I am certain that these will be great! Hey Kiki. Nice to see you here. 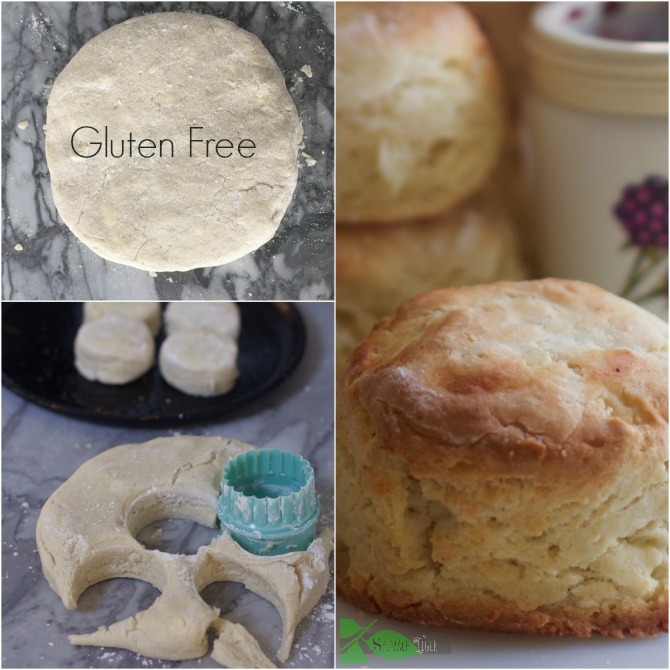 Angela, I think it is fantastic that you took so much time to perfect not only traditional Southern biscuits, but a gluten-free version as well. As our family does not have any dietary restrictions, I will definitely be checking out your Homemade Fluffy Southern Biscuits. We are from Mississippi and grew up eating those wonderful biscuits made with lard and spread with butter and warm honey. Anne, you will love the recipe over there. I’ve made it maybe 100 times now. Always wonderful. Thanks for stopping by. Hi Angela, I’m not GF but looking around for GF biscuit recipes since I’ve been charged with developing a GF product in a class to be mock “marketed”, yours looks good in pictures and the addition of ricotta sounds very promising. Two things: what brand of ricotta did you use since moisture content can vary wildly between them? and how did you come to the conclusion of adding baking soda to the butermilk instead of the dry ingredients? what happened when you did otherwise? Usually the baking soda does not get mixed with the acid buttermilk until the very end, and that gives you rise since a reaction occurs generating CO2. We are gonna test your recipe together with a couple of other ones for our mock product since it looks promising, thank you for sharing. Did you use flax meal or flax seeds? I’m a little confused about the golden flax substitution for the ricotta: then there would be 5 TBSP golden flax in total- am I reading that right? I don’t often have ricotta on hand but do have flax meal. Thanks.